Leigh Brackett – The Future is Female! 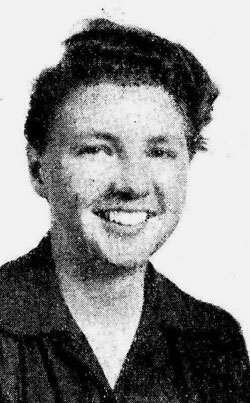 Leigh Brackett (December 7, 1915–March 18, 1978), known among science fiction fans as the “Queen of Space Opera,” was born Leigh C. Brackett in Los Angeles, California, the only child of Margaret (Douglass) Brackett and William Franklin Brackett, an accountant and aspiring writer. Her father died in 1918 during the flu pandemic and Brackett was raised by her mother and maternal grandparents in Santa Monica, where she attended a private girls’ school. Family financial difficulties forced her to decline a college scholarship. Joining the Los Angeles Science Fiction Society in 1939, Brackett published her first story, “Martian Quest,” in the February 1940 Astounding Science-Fiction; by the end of World War II she had become a prolific contributor to science fiction magazines including Astonishing Stories, Comet, Planet Stories, Super Science Stories, and Thrilling Wonder Stories. Also a writer of detective fiction, Brackett’s first novel, No Good from a Corpse (1944), attracted the attention of director Howard Hawks, who hired her to work with William Faulkner and Jules Furthman on the screenplay for The Big Sleep (1946), based on Raymond Chandler’s novel. Busy in Hollywood, she asked her friend Ray Bradbury to complete her novella “Lorelei of the Red Mist,” published jointly in 1946. The same year, she married author Edmond Hamilton, moving with him to rural Kinsman, Ohio. Brackett began publishing novel-length science fiction with “Shadow over Mars” in the Fall 1944 issue of Startling Stories; published in book form in 1951. She followed it with The Starmen (1952), The Sword of Rhiannon (1953), The Big Jump (1955), The Long Tomorrow (1955), The Galactic Breed (1955), Alpha Centauri or Die! (1963), The Ginger Star (1974), The Hounds of Skaith (1974), and The Reavers of Skaith (1976). At the same time, she published crime novels, Westerns, and other fiction, and earned screenwriting credit for Rio Bravo (1959), Hatari! (1962), El Dorado (1966), Rio Lobo (1970), The Long Goodbye (1973), and several works for television. Several of her own stories—including the crime novels An Eye for an Eye (1957) and The Tiger Among Us (1957) were adapted for television. Brackett also famously worked on the screenplay for The Empire Strikes Back (1980, with Lawrence Kasdan), completing an early draft shortly before her death. 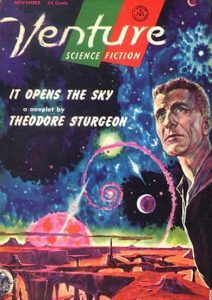 The Best of Leigh Brackett, edited by Edmond Hamilton, was published in 1977, just one year before Brackett died of lung cancer in Lancaster, California. Since her death, Brackett’s contributions to the development of science fiction as a modern genre have been recognized in the form of a Hugo Award for Best Dramatic Presentation (The Empire Strikes Back, 1981), a Cordwainer Smith Rediscovery Award, and induction into the Science Fiction Hall of Fame (2014).